Movement and sensuality are hallmarks of Behan’s still life paintings. 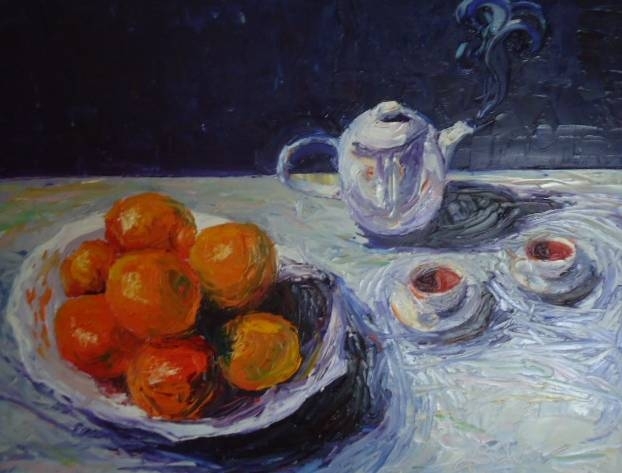 In this painting, the feminine curves of the teapot and roundness of the fruit are relished as they are modelled in thick impasto pigments. The artist delights in the deep alizarin reds of the tea and punchy cadmium orange of the fruit. A plume of steam rising from the teapot adds a transient note to the scene. 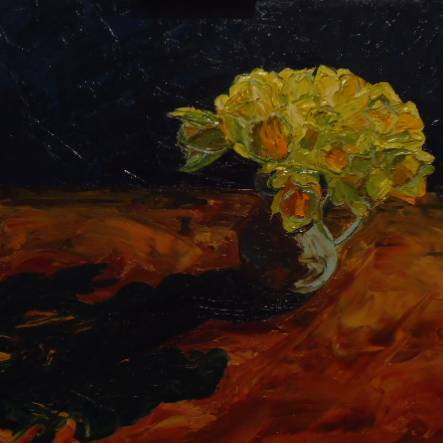 The pronounced chiaroscuro evident in this painting seems to embody the very essence of springtime transition as wonderful yellow trumpets emerge triumphantly from the darkness. 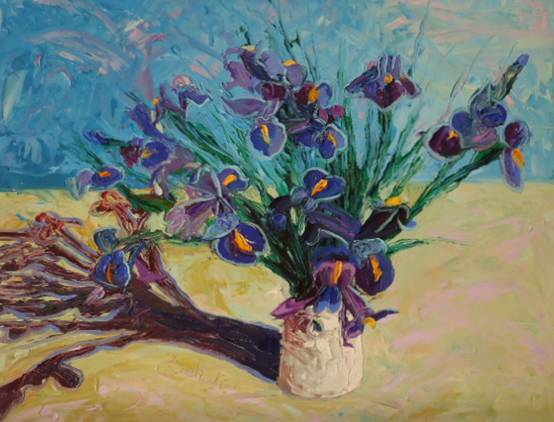 In this painting, Behan describes the Irises with a wonderful spontaneity while retaining the integrity of their botanical structure. The light seems to dance across the painting as the eye traces the narrow tubes of the flowers from the stem as they swell and transform into the iridescent blue and purple mouths of tropical fish. Primeval chrysalis-like flowers push up towards a fresh coeruleum spring sky. 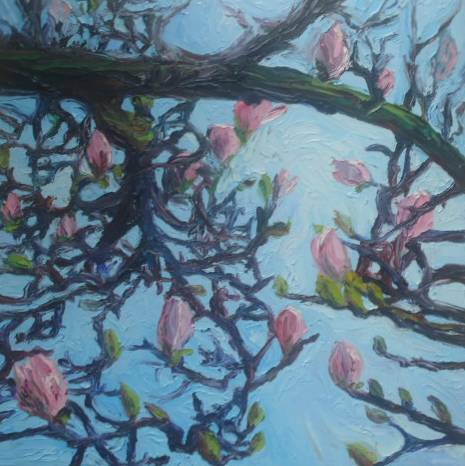 In this painting, the Magnolia seems to speak of the very spark of life.